What does showing respect look like? 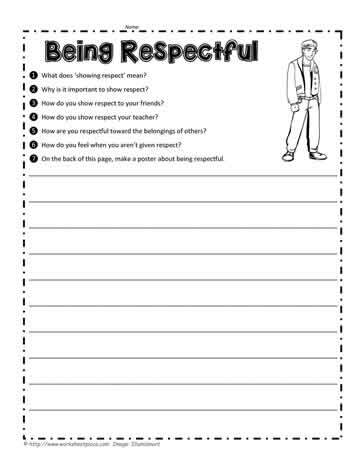 This worksheet about showing respect helps learners understand what respect is and why we need to be respectful. Being respectful means showing respect to teachers, parents, friends, belongings and belongings of others. Brainstorm all the different ways that we show respect before working on this worksheet.